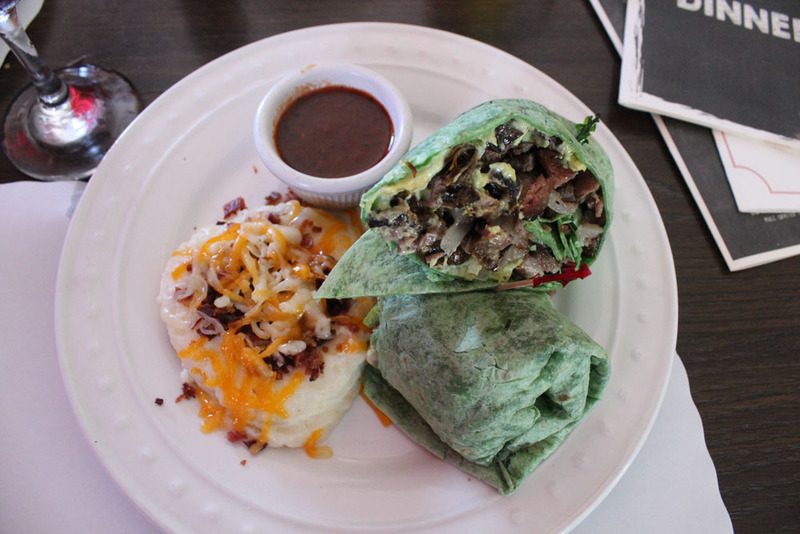 Restaurant Review: When you drive along Broadway in Chula Vista, you certainly get a throwback feel, as though you’ve traveled back to the Prohibition Era when celebrities stopped along this main thoroughfare before heading to Tijuana. Although I’m not sure if celebrities ever landed at Center Cut Steakhouse — the restaurant has that same 1920’s look & feel. Make reservations for any 1st Saturday of the Month and you’ll enjoy a 1lb. Maine lobster made in south of the border Puerto Nuevo style. My “beef” with Center Cut Steakhouse is that the Iconic Sign calls out to visitors on Broadway street, however, the restaurant is tucked further inside a parking lot, making it slightly hard to find. It took me two visits before I finally located the restaurant — and I’m glad I did. Prime Rib in petite, regular and supreme (20 oz) cuts. Center Cut’s burgers are also hand pattied, meaning when they weigh out the actual steaks, they take all the trimmings from the filet mignon, new york and rib eye, then grind it together. Hence, it’s a real steak burger. Don’t just come here for their cuts of exceptional red meat. They also have an all you can eat buffet breakfast on Saturdays & Sundays from 8am-2pm for $9.99. For an extra $3, you can throw in a Bloody Mary or Mimosa. Or check out their lunch menu that includes their Arrachera Al Carbon with a side of Chimichurri, their Mesquite Grilled Cornish Hen, or their Prime Rib Asada Burrito with avocado sauce on a spinach flour tortilla. You’ll love their plush booths that take you back to the days when cuddling up and having a private conversation with your significant other was the best kind of evening (without the iPhones). For socially rambunctious guests who miss the days when dives were “the thing,” Center Cut also has a bar open from 6pm to 1:30pm. The bar kept the establishment afloat for many years until Chef Ramon Gomez came onto the scene. Center Cut Steakhouse is actually 25 years old. However, six years ago the original owner passed away. The restaurant then went through a series of owners. A year and a half ago, Chef Ramon Gomez bought the steakhouse. Originally from Colombia, he moved with his parents to New York city when he was sixteen years old. He went on to graduate from the Culinary Institute of America (CIA) and came to California. He was the one who helped open all the Rockin’ Baja Lobster restaurants in Oceanside, Newport Beach and Bonita. He also worked at the Blue Crab in Point Loma, South Bay Fish & Grill as well as at a couple of butcher shops. Yes, he is that seasoned at cooking. Now he’s been successful in this new adventure. Chef Ramon has many great dishes and you’ll have to go yourself to read the menu. 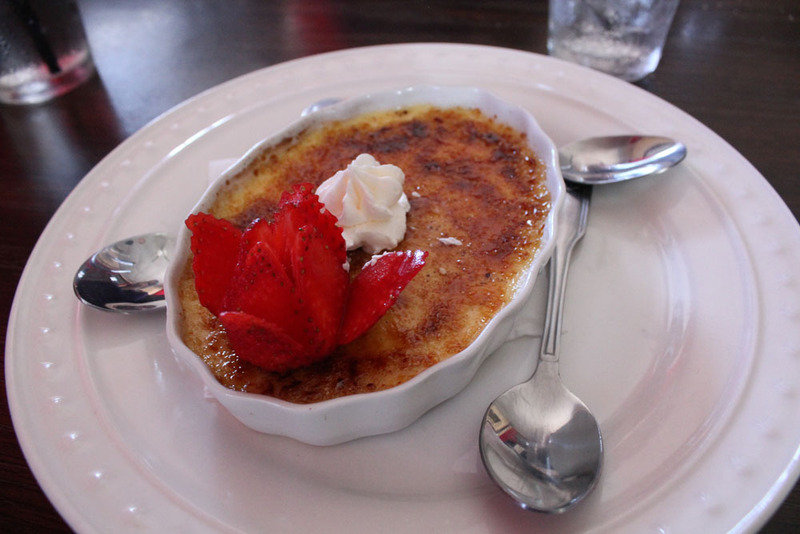 He tells me that his signature dessert is the creme brûlée. I tell him, it’s not just ‘signature,’ it’s divine. 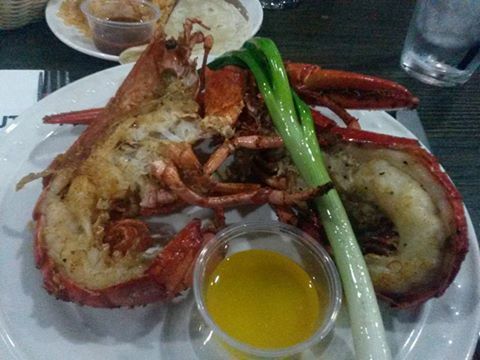 Also, you can Like their Facebook page and get regular updates on events, themes and reservations for lobster night. « What Does A Trump Administration Mean for the Desert?